Spring is just around the corner, and as the weather warms up in the DuPage County area, many of us are thinking of ideas on how to update and improve our garages for the spring and summer. 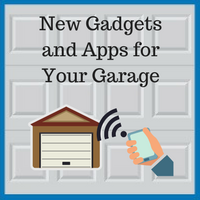 The availability of inexpensive high-tech gadgets that connect with our smartphones provides a great opportunity to upgrade your garage’s systems, allowing you to get the best use out of your space. What Are Some of the Newest Gadgets and Apps? Remote garage door control – Few things are as frustrating as leaving your home in a hurry, only to remember that you forgot to close your garage door when you are a few blocks away. Some newer garage door openers can alleviate these concerns by allowing homeowners to control their garage door remotely through a simple application on their smartphone. By using this app, you can track when your garage door opens or closes at any time during the day or night and have full control of your door, no matter where you are. Space heating – While the weather is getting warmer, we still are likely to have a few more chilly months, and if you use your garage regularly for social events, you may want to invest in an infrared garage heater. These devices provide a cost-effective way to evenly heat your space while using a temperature gauge to ensure that the garage stays at a comfortable temperature level. Improved lighting control – If you are considering upgrading the lighting in your garage, you might want to consider LED bulbs, which provide quality light while using less electricity. Some LED bulbs offer color-changing functionality and can be controlled by a wireless remote, providing a great way to create the perfect mood for parties or social gatherings. Locating keys – If you often find yourself forgetting where your keys are, you might want to consider investing in a wireless key finder. These devices attach to your keychain and sound a loud alarm when a button is pressed or send an alert to your phone if your keys are not within close proximity. Gadgets and apps for your garage are always evolving, but before rushing to buy the latest tech, you should consider whether it will provide you with the features you need and make sure that it will work with your garage’s existing equipment. If you have any questions about the best technologies or how to install them, Blue Sky Builders is always ready to help. 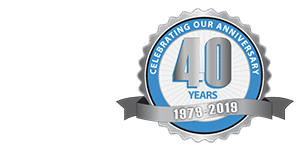 For over 39 years, we have assisted our DuPage County area clients in adding nice features to their garages, and we can help you make the most of your space. To get started on your new upgrade to your garage, please contact us at 630-852-8485.